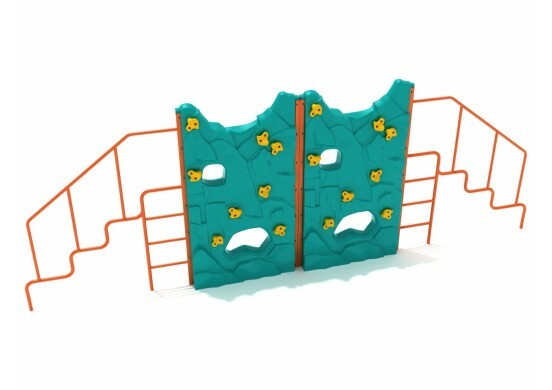 The Craggy Knob is a simple playground climber, and a great way to accessorize existing playgrounds. 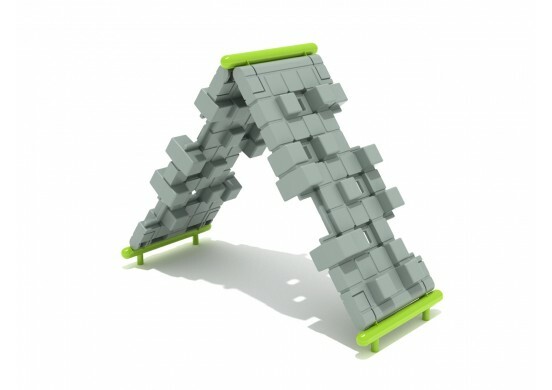 Its unconventional components are likely to be different than anything else that your playground has to offer. It consists of two Craggy Climber Straight Sections and two Craggy Mountain Climber Ends. This way, children have two fun, but unique, ways to climb. 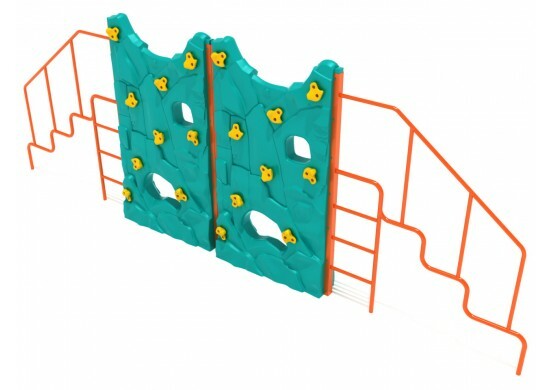 The rock wall panels are cleverly designed to provide great climbing surfaces, with plenty of foot holes and hand grips on both sides. Alternatively, the tops of the panels can be reached by climbing up either the ‘steps’ or the ‘ladder’ built into the Climber Ends. Custom color options can be requested for the injection molded hand grips, rotationally molded panels, and galvanized steel bars. 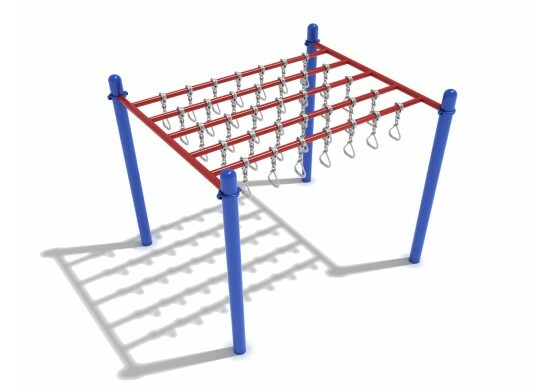 Don’t hesitate to call one of our dedicated playground sales experts for more information about colors and installation. The Craggy Knob is designed for ages 5-12 years old.